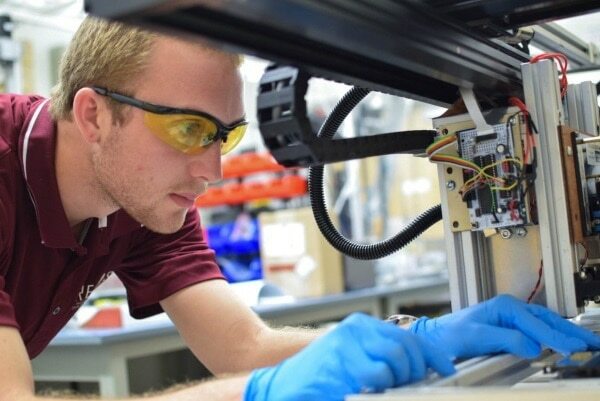 Last year, we reported on the Virginia Tech team that developed a method for 3D printing Kapton using stereolithography (SLA). That interdisciplinary team out of VT’s Macromolecules Innovation Institute (MII) has taken the discovery one step further by creating a direct ink write (DWI) technique that is much more flexible than the previous method. Kapton is the yellow film that’s often mistaken for gold foil on satellites, but those familiar with 3D printing will also know Kapton as a liner used on the beds of FDM 3D printers. The reason Kapton is used in space and on 3D printers is that it remains mechanically stable across a wide range of temperatures, from -269 to 400°C. It makes for a great thermal and electrical insulator in vacuum environments thanks to its low outgassing rate and high thermal conductivity at low temperatures. 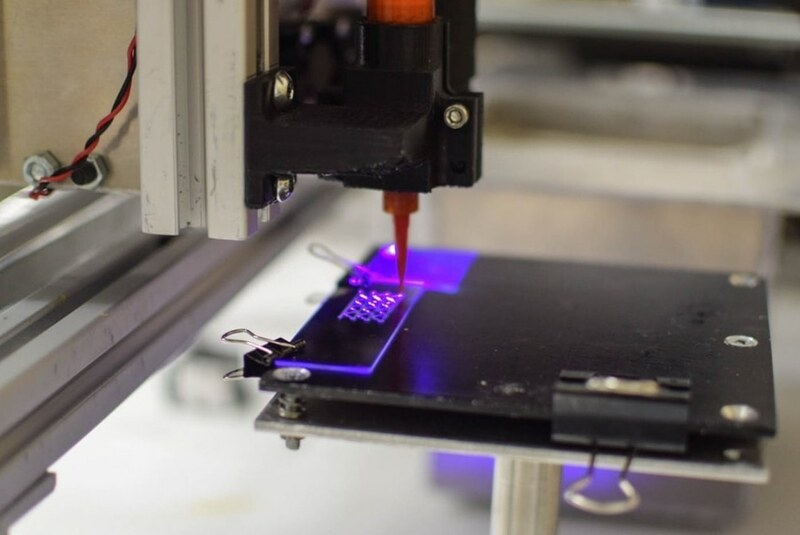 While Kapton is very useful, it’s notoriously difficult to manufacture in any format that isn’t thin film, which is why it was such a big deal when researchers at Virginia Tech’s Design, Research, and Education for Additive Manufacturing Systems (DREAMS) Lab discovered how to 3D print the material. But there were some drawbacks to the SLA method. For one, an object has to be 3D printed all at once, meaning incorporating components can only be done after a part is complete. Additionally, SLA 3D printers can work with only one material at a time. 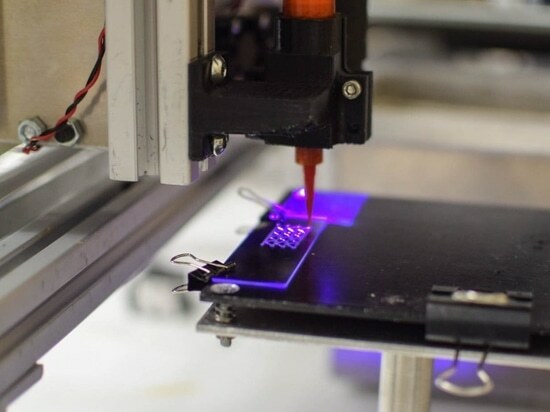 The DIW technique is extrusion based like a desktop FDM 3D printer, except that the Kapton material isn’t a thermoplastic that solidifies as it cools; it’s a photocurable resin and each layer is cured (solidified) by ultraviolet light. It allows for printing different parts beside each other, and conductive components can be added by hand to the part mid-print. The 3D printer itself can also be later upgraded to extrude multiple materials with the Kapton. 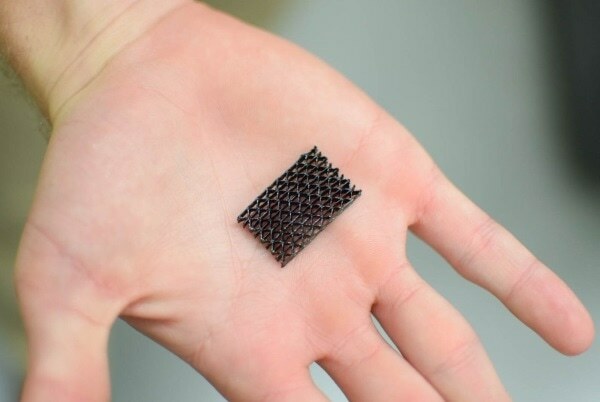 DIW 3D printing has one more trick up its sleeve, though: because each layer is cured after the entire layer is extruded, layers can be extruded directly onto existing parts, even curved faces. 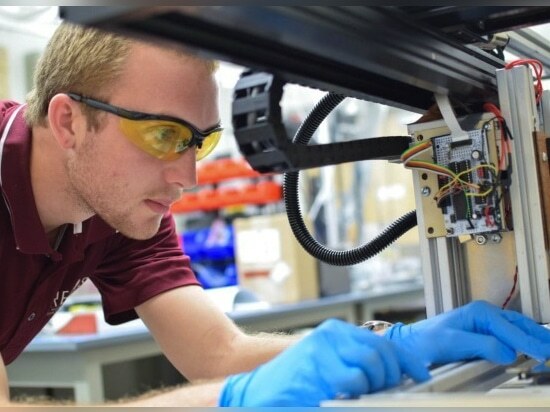 Daniel Rau, one of the co-authors of the DIW paper and a Ph.D. student in the DREAMS Lab said, "Because it’s so simple, (DIW) gives us incredible flexibility on the ink, synthesis, and the properties it has." This approach permits the designing of Kapton into printed electronics and sensors. "As soon as we were able to print Kapton, people asked us about applications. The answer we often gave was printed electronics, but that's challenging to do in stereolithography. This new technique could really enable that as we look towards simultaneous printing of conductive materials and this excellent insulator," stated Christopher Williams, director of the DREAMS Lab. The DIW Kapton maintains its mechanical properties up to 400°C and its degradation temperature is 534°C, only a smidge below the 550°C of conventional Kapton film. Research sometimes happens in small steps, and occasionally breakthroughs are made in leaps and bounds. Getting 3D printed Kapton to a point where other components can be designed into a 3D print may be enough to see commercial applications.